» The Formuler Z8 – Best IPTV Box Ever Made? With IPTV boxes becoming more and more popular, people are beginning to wonder what the best IPTV box on the market is. A couple of months ago, that question would have been up for debate. But in late January, Formuler, one of the titans of IPTV manufacturing, released the Formuler Z8 Android IPTV Box. The successor to the acclaimed and popular Formuler Z7 has just arrived and I finally got my hands on one for an in-depth review. Is the Formuler Z8 better than its older sibling the Z7 or the recently released MAG 322? Is it worth the asking price? Does it have any major design flaws? Are its technical specifications going to blow me out of the water? And probably most importantly, is this the best IPTV box ever made? Stick with me and you’ll soon find out the answers to all of these things and more. Before I take you into the review itself, let me first take time to discuss what it is that I look for in an IPTV box. I’ve reviewed several of these with some of the most reliable IPTV services and over time my preferences and expectations get a little pickier each time. While some people may need only limited functions out of their IPTV box – maybe they’re fine with 1080p – I like to get as much as possible in one package. A good IPTV box will have as much technical power and quality attributes for as good a price as possible. What I first tend to look at is what kind of specs I will actually be getting from the box onto my TV screen. Resolution and frame rate matter because you don’t want to spend extra on a 4K HDR box when you only have a 1080p screen. The vice versa scenario is also an unfortunate event. Processing power is next on the list. People use their TVs all the time, so it makes sense that they would want things to load up and be ready as fast as possible. This means that a good CPU and adequate RAM are what I look for next. These will make your viewing experience as convenient as possible. What I normally look for next is the internet capability. Wi-fi and ethernet compatibility is ideal, and any extra information on the max download speeds is always a good thing to watch out for. I am a big fan of external antennas as they deliver superior wireless connections. An IPTV box running on Android and supporting a wide variety of Apps and streaming services is a definite plus. It should also run a recent version of Android. 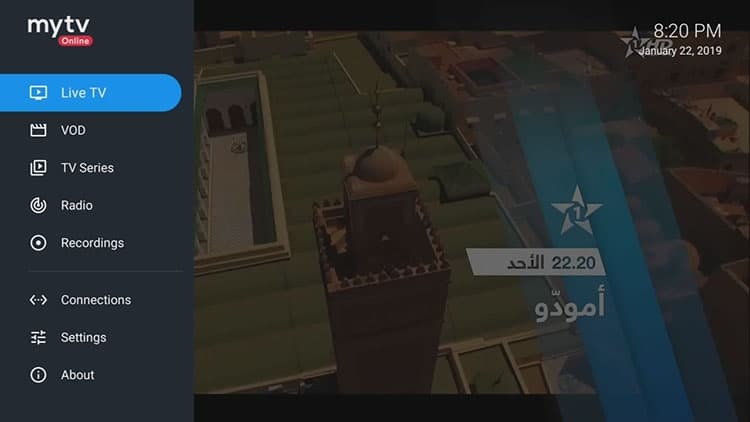 Most importantly, it should be able to connect to IPTV streaming portals out of the box, and support live TV, VOD, and EPG. One underrated aspect of these devices is the build quality. A finely crafted box with solid components will help with minimizing damage from falls and extend the lifespan of the IPTB box. Plus, these things are meant to be a part of your entertainment setup so they should at least look somewhat sleek. 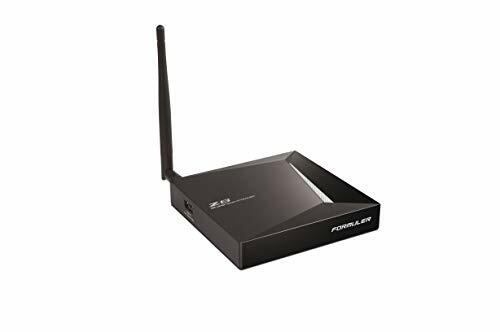 Now, let’s take a look at Formuler’s all new Z8 Android IPTV box. 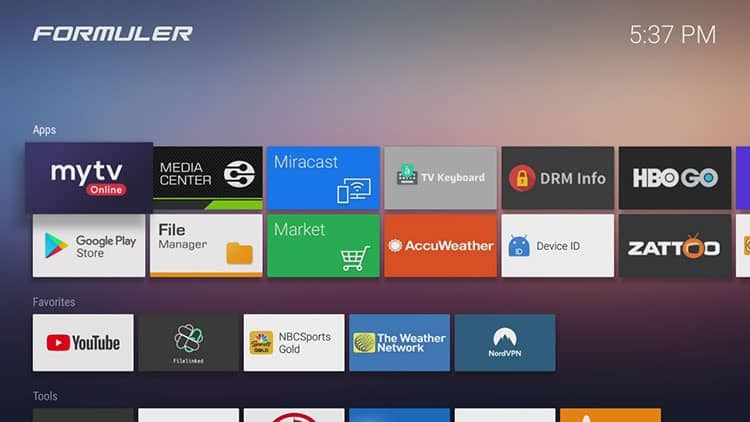 You may already know this, but Formuler has made quite a name for themselves in the world of IPTV devices. Many of their models have become bestsellers and received excellent reviews from all over the world. 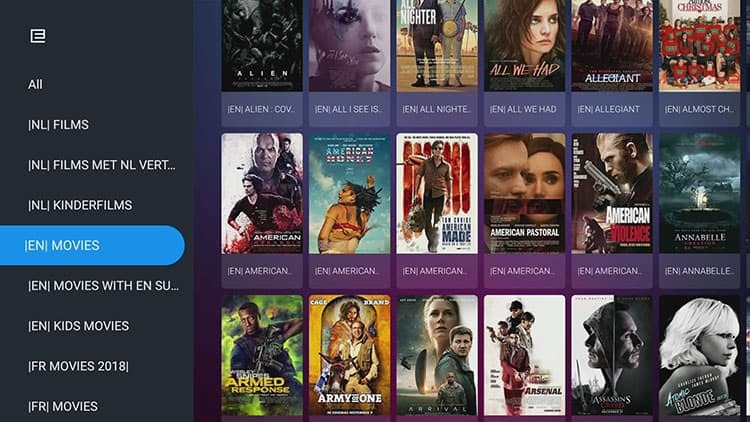 Their IPTV boxes have been known to satisfy people buying their first Android box and IPTV veterans who have owned several products in the past. To make a long story short, Formuler’s track record is very impressive. With the Formuler Z7 and its modified variant the Formuler Z7+, Formuler was able to take the market by storm with fantastic technical specifications for a reasonable price. Now that they have finally released the successor to their hit product, let’s take a look at what makes the Formuler Z8 stand out. Like previous entries in their lineup, the Formuler Z8 uses Android 7 OS and is capable of 4K ultra high definition with HDR compatibility. It has a maximum refresh rate of 60hz which will be great for gamers and fans of content streaming alike. While previous Formuler IPTV boxes had these same excellent features as well, the Formuler Z8 manages to go a bit farther. For one thing, the Formuler Z8 comes with internal storage. A 16GB HDD has been installed to make downloading apps easier. 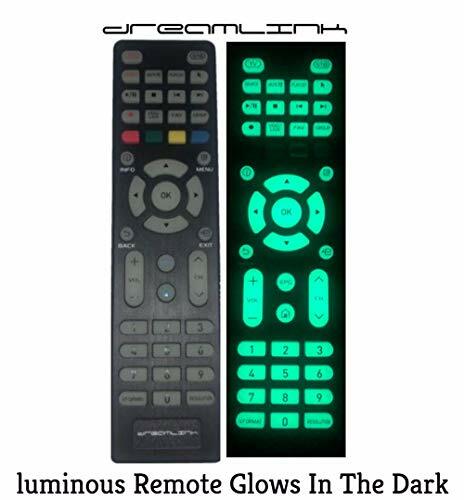 The included remote control seems identical to the one included with the Z7+ except now it has glow in the dark buttons. So far it has been difficult tracking down info on exactly what kind of CPU that Formuler uses in their IPTV boxes. We do know that the Z8 uses a quad-core CPU like previous installments. This is a great sign as quad-cores are much faster than dual-cores. However, when it comes to any specific data regarding its power we’re still in the dark. By far the best hardware addition in my opinion that Formuler added to the Z8 is the external antenna. Formuler IPTV boxes previously all used internal antennas. They were still able to attain strong connections in my experience, but external antennas are definitely the way to go. They are less likely to drop signals and have longer range. One thing I was surprised by is that the Formuler Z8 is capable of up to 1000Mbps download speed, while the most expensive model of the Z7+ could go up to 1200Mbps. It’s a minor downgrade that I doubt many will really notice, but it is worth mentioning. Maybe Formuler will eventually release a Z8+ to make up for this. What really sets Formuler apart from the competition is their software MyTVOnline 2. This is a native IPTV app that allows you to use IPTV service providing live TV and video on demand content. 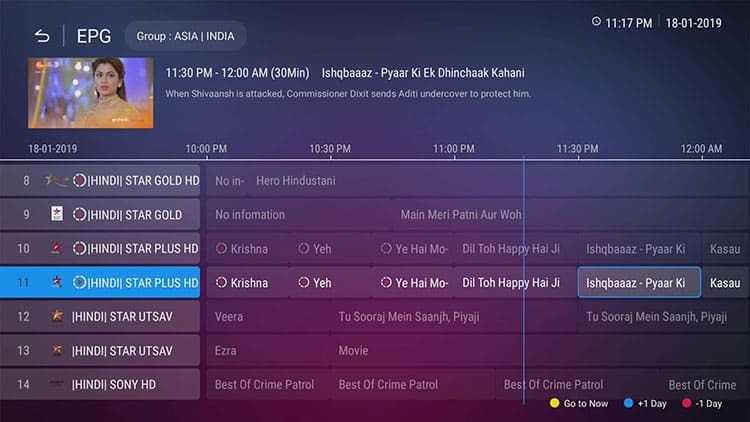 Their app is fully integrated into the TV box operating system and provides the cleanest TV experience, including a fantastic EPG, we have ever seen. As of today, it seems like MyTVOnline 2 will be exclusive to Formuler Z8 and newer models. MyTVOnline 1 will still be available on older models, such as the Formuler Z7+. However, given the upgraded software, there really is no comparison between the Z8 and Z7+. Unboxing the Formuler Z8 was not unlike unboxing any other Formuler product. Everything is standard and you tend to know what you’re going to get. Formuler included a free 3 in 1 USB charger cable, the same one included in their other products. I won’t bore you with the technical specs of a cable – let’s just say that if you own a cellphone, Android or otherwise, it can probably work with this thing. The remote control was a little surprising as it is identical to previous controllers they’ve released. The only difference, of course, is the glow in the dark feature I mentioned earlier. It’s a decent little gimmick and it does work well but I’ve never needed glowing buttons before and I don’t need them now. Besides, they actually are a little too bright to the point where some people might find them distracting. When it comes to the IPTV box itself, it is fairly similar to older Formuler models. It’s almost identical in size and weight. This is actually a little impressive considering that a fair bit more was crammed into this thing. The Formuler Z8 only weighs about a pound and a half, including the antenna. Speaking of the antenna, I was quite impressed to see and hold it when I took it out of the box. It is by no means a flimsy accessory. It actually comes disconnected from the IPTV box and has to be screwed onto the back of the device. This was probably done to protect it during shipping but luckily it is very easy to assemble and it takes mere seconds. It was a little longer than I expected and it can bend in a few directions, allowing you to improve your signal strength manually if needed. The Z8 box itself comes with all of the standard ports that you’ve seen before on other IPTV devices. There are two USB ports (one USB 2.0 and one USB 3.0), the power interface plug, the HDMI port, an ethernet port for wired internet connections, a digital optical port for sound systems and the infrared receiver port to allow extended signal reception for the remote control. The build quality of the Formuler Z8 itself seems robust but not particularly more so than the Z7 or other Formuler boxes. It’s still fairly lightweight so I suspect that it is about as durable as their other models. Whatever kind of quad-core CPU is inside of the Formuler Z8, it is certainly getting the job done. Browsing through menus and channels is just as fast as with the Z7+. It is hard to tell the difference between the two IPTV boxes because they both seem identical when it comes to navigation speed. Regardless of that, the Formuler Z8 is most certainly a very speedy device. Once you complete the initial set-up, on the first launch I found myself bolting through menus and apps at speeds that surpassed my own Android smartphone. Even loading up video content in 4K didn’t seem to cause any noticeable buffering. I also noticed that recording videos is very quick and convenient. The DVR function begins at the press of a button and accessing your stored clips or videos is very fast. Unfortunately, you do need an external USB storage device to actually use the DVR function. It’s puzzling that the 16GB HDD is inaccessible for this function but perhaps Formuler already filled it to the brim with data. When it comes to the meat of the matter watching ultra high-quality content is a cinch. 4K UHD works wonders on this box as advertised. No matter what I threw at the Formuler Z8, it was able to handle the most heavy duty of frame rates and resolutions in HDR. This is without a doubt a machine for people who want the absolute best performance for the absolute best picture quality. As I expected from the get-go, the external antenna gives the Formuler Z8 an edge over any IPTV box that uses an internal one. 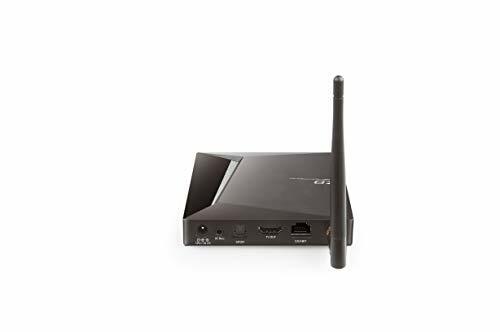 While I still always prefer to use an ethernet cable – especially for 4K content – the wireless signal strengths the Formuler Z8 offers are simply astonishing. Formuler’s previous IPTV boxes already had good signals, but it was always still a good choice to place them as close to your router as possible to minimize the risk of buffering. No such concern is necessary at all with the Formuler Z8. The antenna is actually slightly longer than the IPTV box itself. Additionally, it can be re-oriented to be aimed at the general direction of your router. I have always been of the opinion that external antennas are ideal if you want to stream 4K content wirelessly. This can be avoided if your router is in the same room as your TV but that’s not the case for most people these days. With the Formuler Z8, I finally felt that I no longer needed to use a wired connection for streaming the highest quality of content. Formuler’s first experience with dual-band dual antennas is an undeniable success. The new Formuler Z8 IPTV box doesn’t exactly reinvent the wheel or bring anything innovative to the table. Then again, it probably didn’t have to. Formuler’s entire catalog of streaming boxes have always been top notch in virtually every aspect. The Z8 doesn’t do anything special or different besides a few upgrades and extra accessories, and that’s okay. Is the Formuler Z8 essentially a Z7+ with a bigger antenna and an internal hard drive? No, the upgraded MyTVOnline 2 makes this a completely different beast in the IPTV streaming department. And with the asking price only slightly higher, that absolutely makes the Formuler Z8 the better value. Paying a few extra bucks for 16GB of storage and a superior wi-fi connection sounds like a pretty good deal to me. And it is because of that that I consider the Formuler Z8 Android IPTV Box to be the best of its kind on the market.